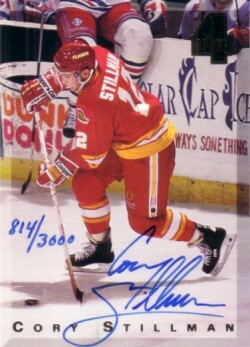 1994 Classic 4-Sport certified autograph card of former NHL veteran Cory Stillman. Individually numbered out of 3000. ONLY ONE AVAILABLE FOR SALE.